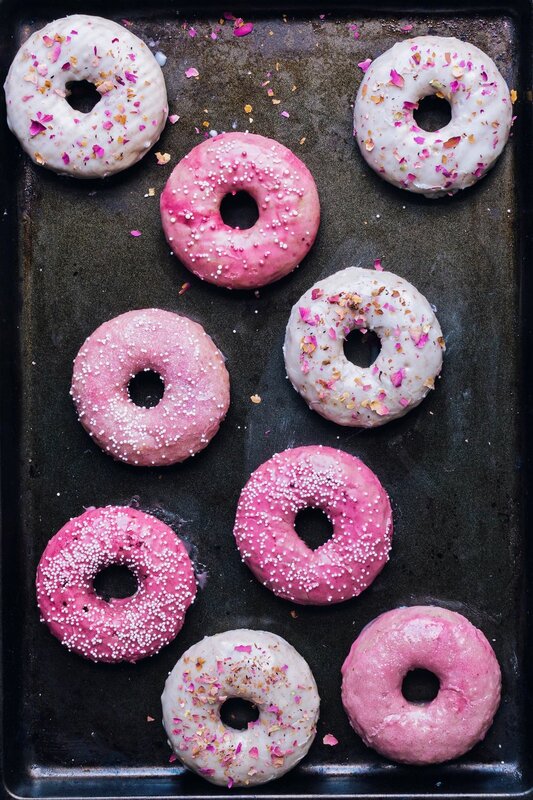 Since Valentine's Day is a great excuse to eat as many desserts as possible (thank you, corporate America, for the diabetes) I knew I had to make some festive donuts, like these pink ombré donuts. And these white donuts with rose petals. Nothing quite says romance like biting into rose petals, amiright? Preheat oven to 350°F. Grease a donut mold pan with coconut oil. Sift the dry ingredients (flour through nutmeg) in a large bowl. Mix together the wet ingredients (coconut milk through vanilla) in a saucepan over low heat. Whisk until the butter is melted and the ingredients are combined. Do not boil. Gently pour the wet ingredients into the dry ingredients, whisking until well incorporated. 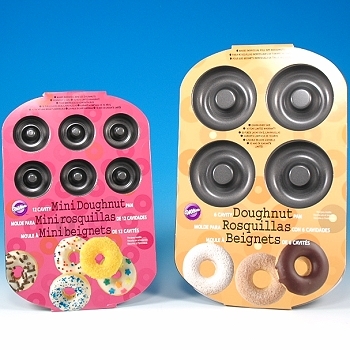 Spoon the mixture into the greased donut molds. Bake for 10-12 minutes until the donuts are slightly firm to the touch and a toothpick comes out clean. Cool donuts on a wire rack before removing and frosting. Place powdered sugar in a large bowl. Whisk almond milk and a squeeze of lemon juice into sugar until you reach your desired icing texture. Add vegan and/or natural food coloring if desired.